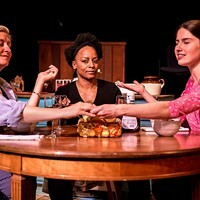 Another Earth | Theater | Style Weekly - Richmond, VA local news, arts, and events. 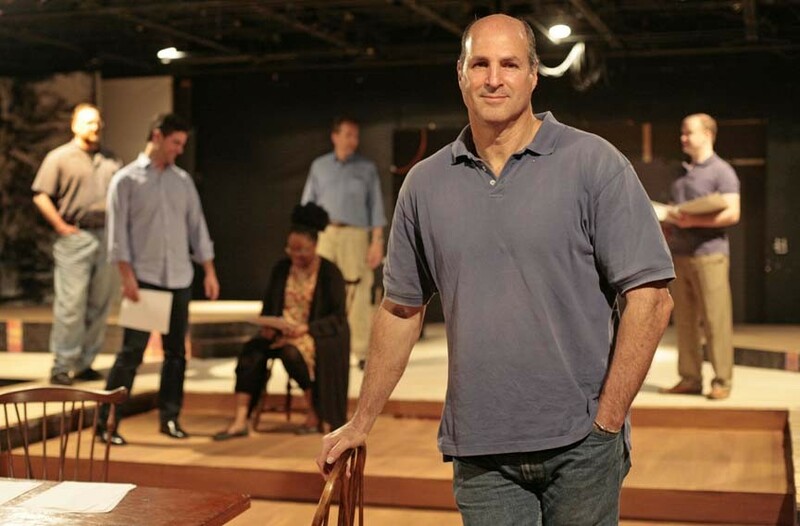 David Robbins' devastating novel gets a Barksdale Theatre adaptation. "I took a shot at removing all love and forgiveness from a town," author David Robbins says. His book, "Scorched Earth," will get a stage debut this week. To restore the graveyard's whites-only status, the church deacons had a very simple solution: exhume the body of a recently buried, mixed-race infant. It might sound like a work of fiction, but it was a real-life scenario that grabbed national headlines in 1996 for the city of Thomasville, Ga. The deacons at Barnett's Creek Baptist Church later retracted their request to remove the baby's body, but for novelist David L. Robbins, it was the kind of thing that stayed with him. "I was appalled," Robbins says. "That kept rattling around in my head for five years." The racially charged story became the inspiration for the Richmond-based author's fourth novel, "Scorched Earth," which he recently adapted for the stage. 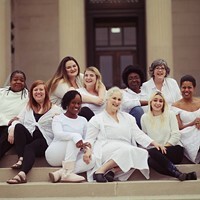 The play will have its world premiere April 13 at Barksdale Theatre at Willow Lawn. Like the novel, the play imagines that the church went through with disinterring the infant's body, setting off a powder keg of rage during a rainless summer. The idea to adapt the novel came from Carol Piersol, artistic director for Firehouse Theatre Project. But because of the large budget required to stage the show, "Scorched Earth" was brought to Barksdale. "This is a major financial commitment for a theater our size," says Bruce Miller, Barksdale's artistic director. "This is a big vote of confidence in the script and of David as a playwright." With 32 scenes and 16 actors, presenting the play as a full production is no small feat. 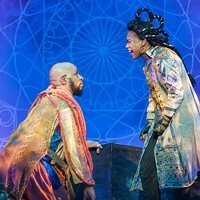 "For a straight play, [a cast this large] usually means you're doing Shakespeare," director Steve Perigard says, adding that the sizeable number of scene changes give the play a "cinematic feel." 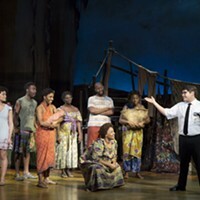 Working on a production with the playwright of the show has been a unique experience, Perigard says: "We have questions for him after every other rehearsal, and he's there." 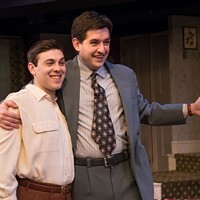 Throughout the show's production, Robbins has provided insight on the script, and has furnished a few minor tweaks and changes to the play along the way. "He's been really open and involved in our rehearsals. ... It's been fun to look at what's needed and what's not needed." Perigard says that one of the joys of producing a world premiere is that there aren't any expectations going into the production. "We don't have anything to compare our work to, which is great," Perigard says. "It is really intricately plotted. ... He's created these really strong, great characters." "I took a shot at removing all love and forgiveness from a town," Robbins says of "Scorched Earth." "You open that grave up, you restart [the] grieving." Miller says the play is part of Barksdale's recent commitment to staging new works as main-stage productions. The company staged Miller's "Blue Ridge Mountain Christmas" in the winter at Hanover Tavern. "It's a great opportunity for us to introduce a play," Miller says. "We're going all-out with this one." Barksdale Theatre's "Scorched Earth" runs at Willow Lawn from April 13-May 20. Tickets are $19-$38. For information, go to barksdalerichmond.org or call 282-2620.